In the previous essay in this series, we encountered a North Korea of construction, both in the immediate period following liberation from Japanese colonial rule and in the post-Korean War era. At that time, Pyongyang was faced with a mammoth institutional and technical task, mirroring the comprehensive nature of allied bombing campaigns and the dynamic fighting of the war’s first two years. Reconstruction was most imperative on land, especially as a remedy for the destruction of Pyongyang itself and the wider degradation of North Korea’s industrial infrastructure and capacity. This reconstruction of urban and industrial space was matched by difficult tasks within the agricultural and food production field. Likewise, the need to augment capacity in the field of aquaculture was pressing, made all the more difficult by the post-war settlement which had essentially solidified US dominance of the naval field. 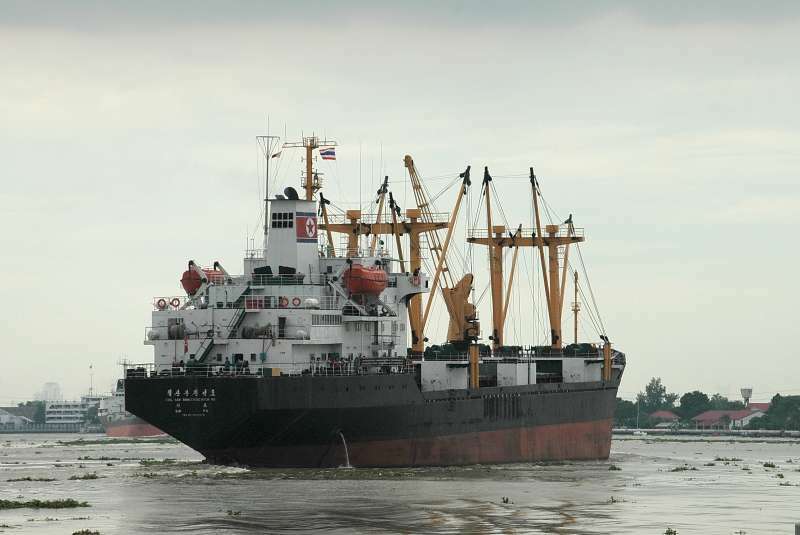 The postwar years thus produced particular challenges for Pyongyang’s maritime institutions. In spite of these challenges, North Korea’s post-war maritime development mirrors both the ideological and the practical drive and agenda of its land-based institutions. First, the DPRK engaged in rapid reconstruction at the direction of supportive Soviet technical specialists, replacing and regenerating technical capacity, fleet, and catch equipment. 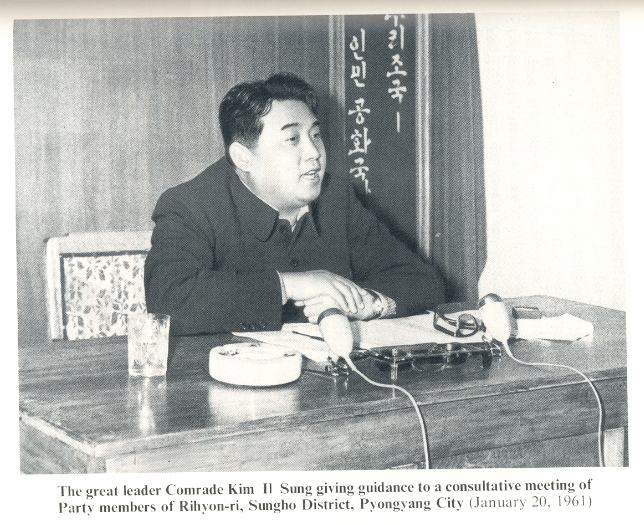 Secondly, in a brief period of ideological inspiration from Mao’s Great Leap Forward that birthed the still frequently utilized Chollima movement, Pyongyang’s wider agricultural and industrial agenda was reshaped. This occurred before a longer period of geopolitical triangulation (described by Charles Armstrong) in which North Korea sought to go its own careful equidistant way between the two poles of affiliated power: China and the Soviet Union. As the rhetorical and physical battles between Moscow and Beijing intensified in the late 1960s, Pyongyang ended the decade on a rising note, as indicated by the announcement of the “Six Goals” in 1968. (Fishing capacity was a key element in the “Six Goals.”) The 1970s were a period of international extension in other fields in North Korea, but in the fields of resource production (e.g., fisheries), policy developments became demonstrative of the beginnings of later internal stagnation. [W]e cannot rest content with this. So far we have laid only the basic foundations of the fishing industry. [B]ecause we are inexperienced we have only prepared many nets needed for catching mackerel… since we had expected big shoals of this fish to come… we could not catch them because they did not come…. After that fishery workers are discouraged and at a loss for what to do. The 450-ton trawler we are now producing has many shortcomings. [For example,] it can be used for fishing only in the Black Sea or the Baltic Sea… [and] it cannot be used in the Pacific Ocean where the waves are moderate. The plan, like its counterparts on land, revolved around a large expansion in sectorial capacity, replacing these smaller, seemingly unsatisfactory boats. But even if it needed to be done quickly, this expansion was to be carefully managed and located in a few centers of industrial excellence—for example, the Ryukdae Shipyard in the Komdok Island area. This shipyard was to serve as such a center for the industry in the West Sea. [A]t the moment people at the ship repair yards busy themselves getting engines, spare parts and paint, only after the ships return from the deep seas. They say therefore that it takes a few months to repair a ship, and sometime it even requires 150 days. Consequently they miss the fishing season. [I]f we are to succeed in this work, we must have a large quantity of engines and other spare parts in stock… a ship spare parts factory should be built in Kimchaek City… then it will be easy to obtain supplies of steel from Songjin Steel Plant. Kim Il-sung envisages here the revival of a model of semi-informal fishing co-operatives using these marginalized or peripheral workers. The word “semi” is of course highly important as these are still to be well integrated into institutional and political planning and serve as much as part of sectorial planning as those facilities and sets of workers undertaking activity in the deep sea. [I]t would be reasonable to establish fishing bases around Ongjin, Monggumpo, Sukchon and Mundok in South Pyongan and in Cholsan, Chongu, at the mouth of Chongchon River and on Sinmi Island in North Pyongan Province…. The fastest and most rational way of solving this problem is to catch large quantities of fish. Our country is bounded by the sea on three sides, so it is much faster and more economical to solve the protein problem by developing the fishing industry…. I have emphasized on more than one occasion that the officials in charge of fishing should study deep-sea fishing. But they have claimed there are no fish in the deep sea, and have not looked into methods of detecting shoals and catching the fish. They even altered the contents of the textbooks to concur with their opinion. 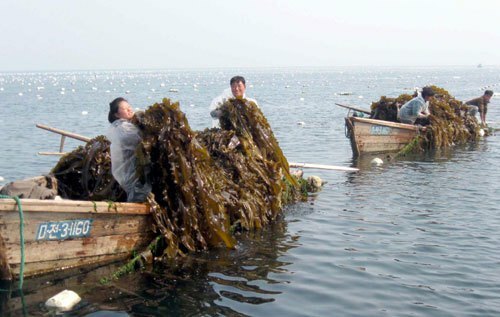 While pollack may well have been Kim Il-sung’s fish of choice and deep and frequent catches an aspiration of Pyongyang’s fishing fleet in the 1970s, the era of the “Six Goals” and “Great Tasks” (though primarily on land), would soon fall given these diminishing and seemingly unrealizable tasks. The Party Congress of 1980 would abandon wider strategy and goal setting for the next decade, determining that perhaps it was better to focus on simply achieving what was possible despite inefficiency and incapability. Maritime production and the fishery sector were as subject to this abandonment as were the national framework of forestry goals and tidal reclamation. However following this later period of stagnation and near collapse, fisheries policy would again post-1997 connect with institutional priorities and a new developmental agenda. This era, our current, which features the January 8 Fisheries Project and Kim Jong-un’s new apparent interest in matters pelagic will be the subject of the third and final part of this series, in which connections and inheritances from this foundational, yet somehow fitful and unfulfilled, period will be analyzed and uncovered. Kim Il-sung, “On Developing the Fishing Industry Further,” Works 24 (Pyongyang: Foreign Languages Publishing House, 1969), 52. Kim Il-sung, “On the Further Development of the Fishing Industry in the West Sea,” Works 32 (Pyongyang: Foreign Languages Publishing House, 1977), 65. These are listed as “planktonic shrimps, prawns, Acetes chimensis, Blue Crabs, Gizzard Shad, Yello Corbina, Setipinna Gilberti, Anchovy, Sand Ell and Grey Mullet.” Ibid., 67. Kim Il-sung, “Let us Develop the Fishing Industry and Increase the Catch”, Works 33 (Pyongyang: Foreign Languages Publishing House, 1978), 86. It reads: “A large amount of Pollack was caught by our fishermen last winter. The catch is large every year, but last winter was an all-time high….” Ibid.